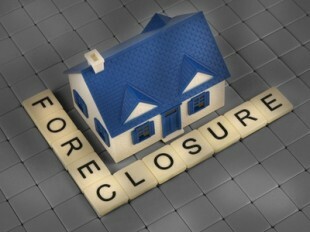 There are not many things that can negatively impact your credit score more than a foreclosure or short sale. In fact one of the more common untruths you will hear from many Realtors is that short sales don’t impact your credit scores like foreclosures do. This is absolutely WRONG! If you fail to pay your mortgage during a short sale the credit score impact will be nearly identical to a foreclosure according to My FICO the governing body for credit scoring. Being a Realtor myself for the last twenty five years it does not surprise me when I hear this misinformation being spewed in person or around the internet. Some Real Estate agents will paint a short sale as your ticket to the promised land and a foreclosure as a ticket to financial misery for the rest of your life. They do this of course because they want you to list the property with them as a short sale. A true Real Estate professional should be going over all possible financial options with you and not just looking to put money in their wallet. There are of course advantages to doing a short sale but a better credit score is not one of them unless you are able to complete a short sale without missing mortgage payments. The sad truth is that most but not all of the time a lender is not going to grant short sale approval unless you are behind in your mortgage payments. From a lender’s perspective if you are able to continue paying your mortgage why should they grant you a short sale? The advantages of a short sale vs a foreclosure center around the time you will be able to purchase a home again in the future. You will be able to buy a home after completing a short sale much quicker than a foreclosure. For a complete breakdown of how quickly you can get financing after both of these events see getting a mortgage after short sale or foreclosure. If you can show extenuating circumstances of why you had to do a short sale or lost your home to foreclosure you may be able to get a loan sooner. Some of the acceptable hardships that could factor into a lenders decision are divorce, loss of a job and unexpected medical expenses. Another advantage of a short sale is how future employers, as well as other types of creditors look at you in the future. Having a foreclosure on your resume is not something an employer is going to look at favorably. In a short sale you have at least attempted to live up to your debt and not just walk away. One of the most important steps you can take to getting back into the home ownership arena after a foreclosure is to work on increasing your credit scores. This article provides some excellent tips on building back your credit score as quickly as possible. There is no doubt that building your credit score after a foreclosure or short sale is a difficult task. 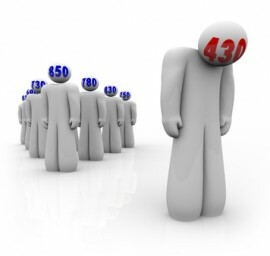 On average you can expect your score to drop between 150-200 points so you will have a lot of work to do! Two or the most important things you can do to raise your score is to pay your bills on time and keep your credit card bills below the maximum levels. One of the things lenders look for with borrowers especially after a short sale or foreclosure is employment stability. Unless you have the opportunity to move into a position that offers a much higher pay you will be better off sticking with the job you have. The lender is going to want to see you are grounded with work and not changing jobs. Lenders are also going to want to see that you have squirreled away some money. Working on saving any extra money so that your nest egg is built back up becomes important. A six month reserve is a safe bet to show lenders that you have a fall back plan should you happen to become unemployed. Owning a home again after short sale or foreclosure is certainly achievable is you work diligently towards getting your financial house in order! If you are need to short sale your home or condominium in Ashland, Bellingham, Framingham, Franklin, Grafton, Holden, Holliston, Hopedale, Hopkinton, Medway, Mendon, Millbury, Milford, Southboro, Westboro, Natick, Northboro, Northbridge, Whitinsville, Upton, Uxbridge, Shrewsbury, Sutton or Worcester get in touch! I would love to interview for the chance to represent your best interests. I am successfully completing short sales through out the Metrowest Massachusetts and Worcester County areas. So far, knock on wood, I have a 100% success rate for short sale approval! Short sales are specialized transactions that are critical to have the right Realtor representing you. Do not make the mistake of picking an agent that does not understand how to get to the closing table on a short sale. About the author: The above Real Estate information on Fixing your finances after foreclosure or short sale was provided by Bill Gassett, a Nationally recognized leader in his field. Bill can be reached via email at billgassett@remaxexec.com or by phone at 508-435-5356. Bill has helped people move in and out of many Metrowest towns for the last 25+ Years. I hope you don’t take this the wrong way- I almost private messaged you with this. I will not be offended if you don’t publish this. I am not trying to show you up. I only am interested pass along things I have learned. Good post but it assumes two things- first that you are missing payments. Not missing any payments & completing a short sale MAY have zero affect on the score itself. It also allows for an immediate purchase if the short sale was due to relocation. Second, FICO doesn’t share how it comes up with the scores. It’s like like google’s algorithm. No one outside FICO knows exactly how it is calculated. We can only say what has happened to us & others who have had changes to our scores & what events were happening at that time. I applaud you 100% success rate! That is great- you must be a bull dog advocating for your clients. That is awesome. Roy you must not have read the article completely because I explicitly mention that this assumes you are missing mortgage payments. The unfortunate part of most short sales is that you do have to be in default. While there are exceptions most of the time this is the case. Bill this is a great article on improving your financial situation after going through a short sale or foreclosure. I must commend you as you write some of the best short sale articles I have seen online. I know this must be a big help to those who read your blog! Hiring an experienced short sale agent is important. Hiring the experienced and successful agent who will give you true advice that is in your best interest, not the agent’s, is extremely important. Good job on working for the client. Another informative post, Bill. You’re right about the fact that too often, agents paint a rosier picture of a short sale than is warranted. I’m bookmarking this one for future reference. Also, like you, I had a 100% success rate with selling short sales – until a couple of weeks ago. The clients changed their minds about doing a short sale due to some other issues and decided to assign the house back to the bank. Frankly, while I was disappointed, it’s almost a relief that the streak is over – especially since I don’t plan on listing any more for a while. Thanks Chris I appreciate the compliments on the short sale article. I wouldn’t consider what you described as a failed short sale as you were not given the opportunity to complete it. Bill, you’re right, I hadn’t really thought it through. I guess the thing to do now is try to retire from short sales undefeated. A short sale shows up as “Paid as agreed” on many credit reports not the same as a foreclosure and although the FICO may or may not be affected the same way, short sales allow you to show that you indeed paid off your mortgage as opposed to let it go back in foreclosure. A completed foreclosure is more damaging because not only does it hurt your ability to purchase again, it also paints the picture that you cannot pay your bills and did nothing to remedy it. Although I see your point on the “the way it affects your credit is the same”… it really isn’t the same. It’s sort of like saying a bankruptcy Chapter 7 is same as chapter 13. When you have the choice nearly 95% of the time a short sale is better route to go then letting your property go back to the bank in the foreclosure. Lastly, not all credit agencies report the same. Good article though to bring out issues that people blanket. Cory there is no doubt that a foreclosure is not looked at as favorably as a short sale but the fact remains they effect a credit score exactly the same. Of course I think a short sale is a better move than walking away from your home, I just despise the fact that many Realtors paint the picture that a short sale will not cause the same credit score hit. Bill- I did read the whole article & I do agree most people looking at short sale as an option have missed payments. It is not necessary to do so however in most cases. The standard is to be in default OR eminent risk of default. One of the reasons for my original post, was to try to get the word out people do not have to miss payments to get a short sale approved. That is something has become almost like an urban myth in Realtor circles. There are some cases with some lenders that they require a missed payments but I have found that isn’t usually the case. Roy if that were the case there would be thousands upon thousands of people who would be continuing to pay their mortgage. Who wants to have their credit go into the toilet bowl when they don’t have to? I work in the short sale arena everyday and know first hand that most major lenders will not approve a short sale with the borrower being current. Not all but the vast majority of major national lenders I have been involved with need to see a default. Great article Bill. Although I don’t work short sales I do speak to homeowners weekly who would like to short sale their home who aren’t behind in payments. As a real estate professional I don’t feel that I should recommend they miss payments to increase their likelihood of having a successful short sale transaction. So if they tell me they are not late I tell them not to even try a short sale. I mean where’s the hardship? I have to wonder if this entire episode over the last few years has scarred a good percentage of the population off ever owning again. It does seem to be a landlord’s market at the moment with a glut of people competing for the same rental properties. And with the employment market tight, flexibility in your living arrangements would have a strong appeal right now I imagine.